Corporate results from sector heavyweights such as Maruti Suzuki and Larsen & Toubro (L&T) are likely to sway investor sentiment on Friday. 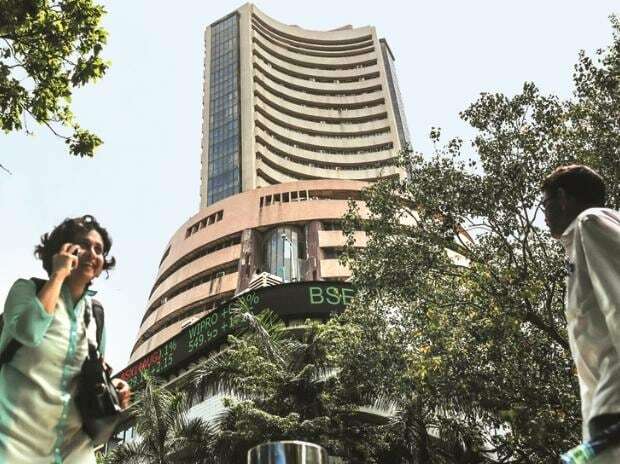 Corporate results from sector heavyweights such as Maruti Suzuki and Larsen & Toubro (L&T), uncertainties about global economic outlook, US-China trade negotiations and other global developments are likely to sway investor sentiment on Friday. Among stocks, InterGlobe Aviation, which owns IndiGo airlines, will be in focus today after the company appointed Ronojoy Dutta as Chief Executive Officer (CEO) for a period of five years. Also, M Damodaran, former Chairman of Securities Exchange Board of India (SEBI), has been appointed as chairman of the Indigo's board of directors. Apart from Maruti and L&T around 50 BSE listed companies including Gruh Finance, Indian Bank, Indian Overseas Bank, Vakrangee are expected to announce their December quarter earnings during the day. Nifty futures on Singapore Exchange (SGX) were trading at 10,923, up 37 points or 0.34 per cent in early trade. The Indian rupee Thursday furthered gains by 26 paise to close at 71.07 against the US dollar as softer crude prices and gains in domestic equities bolstered forex market sentiments. MSCI’s broadest index of Asia-Pacific shares outside Japan edged up 0.2 per cent. Australian stocks climbed 0.5 per cent, South Korea’s KOSPI added 0.7 per cent. Japan’s Nikkei advanced 1 per cent. The Dow Jones Industrial Average fell 22.38 points, or 0.09 per cent, to 24,553.24, the S&P 500 gained 3.63 points, or 0.14 per cent, to 2,642.33 and the Nasdaq Composite added 47.70 points, or 0.68 per cent, to 7,073.46. US West Texas Intermediate (WTI) crude futures rose 51 cents to settle at $53.13 a barrel, a 0.97 per cent gain. Brent crude futures fell 5 cents to settle at $61.09 a barrel. This will be his first major task in his second stint at the helm of affairs in the North Block, before he presents the interim Budget 2019-20 on February 1. Ravneet Gill, a career banker with Deutsche Bank, will succeed Rana Kapoor as the managing director and chief of YES Bank. Kapoor’s tenure ends on January 31. Gill, currently Chief Executive of Deutsche Bank’s business operations in India, is expected to take charge latest by March 1, YES Bank said in a statement. Reserve Bank of India (RBI) has approved the appointment of 57-year-old Ravneet Gill for a three-year term. The YES Bank board will meet on January 29 to finalise the delegation of powers for the transition management in the interim period till Gill assumes office.